Prior to the invention of firearms, learning how to effectively use edged weapons was a long and grueling process; years of intense physical training, group discipline and the need to be fairly tough to begin with limited the number of soldiers which could be fielded. Even the famous long-bowmen of England, recruited from the yeomanry, required training from early age in order to be effective. A state could always conscript “spear fodder”, but they were generally not worth their feeding, so any state with an effective military required a 'warrior class'. These were not necessarily full-time, but they all required periodic training, which meant resources for them had to come from somewhere, and this usually meant from people from a lower class of citizenry – who were in no position to object to the appropriation of their resources. A classic example are the Samurai, who became (or already were) almost a distinct hereditary subgroup. 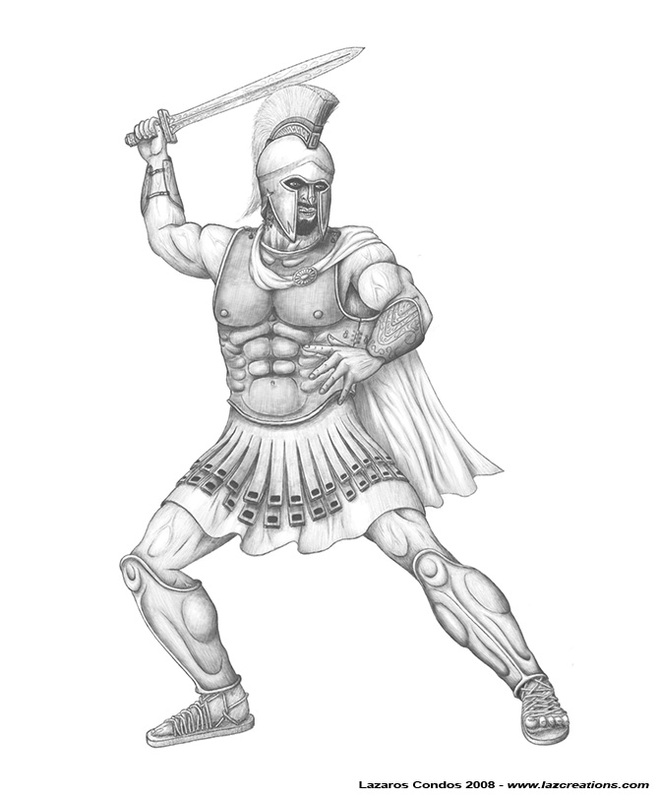 Another is the citizenry of Sparta, who were essentially a cadre of trained fighters who controlled a huge number of Helots over whom they had total life-and-death control. Democratic Athens was in many ways similar, with the yeoman class expected to be proficient in arms for the usual yearly military campaigns – and again – controlling a large slave population. Athens was indeed, for a time, a democratic city-state, but the democracy wasn't very deep. If it is virtually impossible for a single untrained man to defeat a trained warrior; it is even less possible for an untrained mob to overthrow a disciplined army, unless the odds are truly overwhelming. Thus, a society with an established warrior class can remain static for millenia unless the equilibrium is disrupted. It is often stated that gunpowder was invented in China and the knowledge passed to Europe, perhaps by Arab traders, but it is also possible that it was the other way around. In any case, the earliest verifiable written record describing gunpowder in Europe is from Rodger Bacon in the year 1267, where he mentions its ingredients and complains how the town miscreants set off firecrackers at night to disturb the peace of sleeping citizens. Gunpowder may have been discovered well before that, but this is the first definitive contemporaneous record. There are suggestions from the time of Alexander the Great of a town in India having weapons which suggest gunpowder, and perhaps guns, but no written or archaeologic record exists. 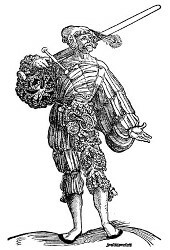 Regardless of the origin of gunpowder, the gun itself is generally considered to be a European invention. Although it sounds obvious to us now, the concept of a gun in that period would not only be non-obvious but would be counter-intuitive. Also, knowledge then was highly compartmentalized in the various Guilds, so an inventor would have to enlist considerable support for the seemingly simple project of building one. Let's imagine you go to the local Duke and ask him to support your new concept. After you describe it to him, he would be likely to say: “So – you want me to give you a significant amount of money so you can make a lot of this dangerous stuff you call 'powder', and then you want my best armorers to learn how to make a tube to put this powder in, and then you put a rock or some such in the tube too so it can be shot out the front? YOU WANT TO DO ALL THIS JUST TO FIND AN EXPENSIVE WAY TO THROW ROCKS AT MY ENEMIES!! Guards!! Take this fool out and hang him for wasting my time!!”. Well – you can't blame him, because tossing stones or lead pellets at the enemy was well-know at the time. The Romans used Baleares, expert slingers who could launch lead pellets over a hundred yards with deadly effect against unarmored barbarians. But, in the Europe of the late 13th Century, most soldiers were armored, so such a weapon would be an annoyance but otherwise relatively ineffective, and proposing a 'fancier' way to do it would seem like madness. But, the West had another military problem which needed solving – walls. Most important cities had fortified walls, so armies of the time were used to throwing very large rocks to try and knock a hole in them, and finding a better way to toss the rocks would have been quite important. 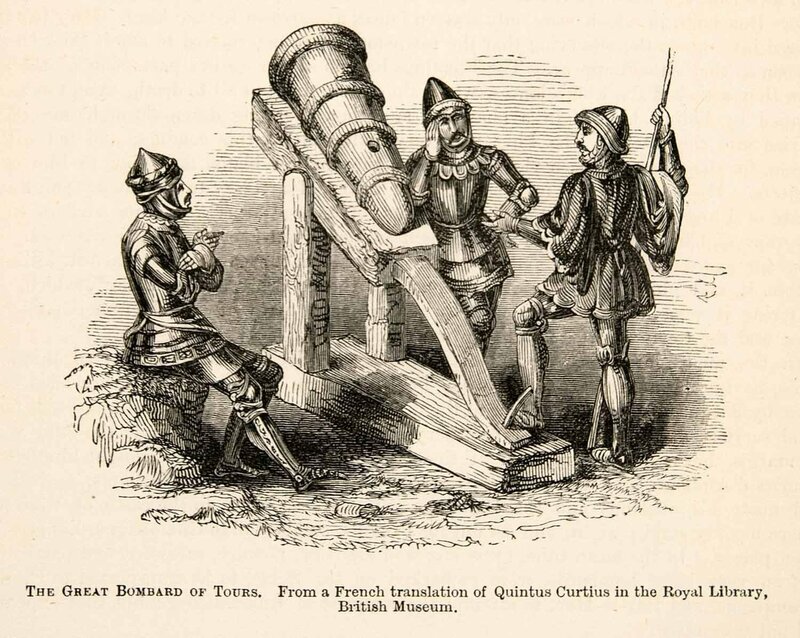 Besieging a town was a lengthy and very expensive process, so experimenting to develop a cannon would have been a reasonable use of scarce resources, and that is likely why huge cannons (bombards) were the first guns known to have been used. No one knows how or where the siege cannon evolved into the hand-cannon (or gonne, as it is often called), but it is possible that once the basic technology was in place, someone made a model cannon and discovered the power of kinetic energy. The effect of velocity on energy was not really appreciated until the 18th Century, so thinking of a small gonne as just a way of tossing relatively harmless rocks is not surprising. However, if you take the same lead ball tossed from a sling – say at 300 feet per second (fps), and shoot it from a gonne at 900 fps, it has nine times the energy, not three times as might be expected, so the soft lead ball which flattens against the armor at 300fps blows a large hole through it at 900fps. These gonnes also had the advantage of being easy to make; a good contemporary blacksmith can go from an iron bar to finished gonne in under five hours, which is a fraction of the time needed to make a good crossbow. And, unlike a traditional bow which took an archer years of conditioning and training to use effectively, a typical peasant conscript could be quickly trained to load and fire a gonne. The only remaining problem was how to use this new weapon in an actual battle. In the Hussite Wars (1419 – 1434), gunners were stationed in and behind carts, protecting them from mounted knights while they shot their horses out from under them (horses were a much bigger target than their riders), and after the knights were un-horsed, everyone ran out with flails and beat them to death – very neat and effective. 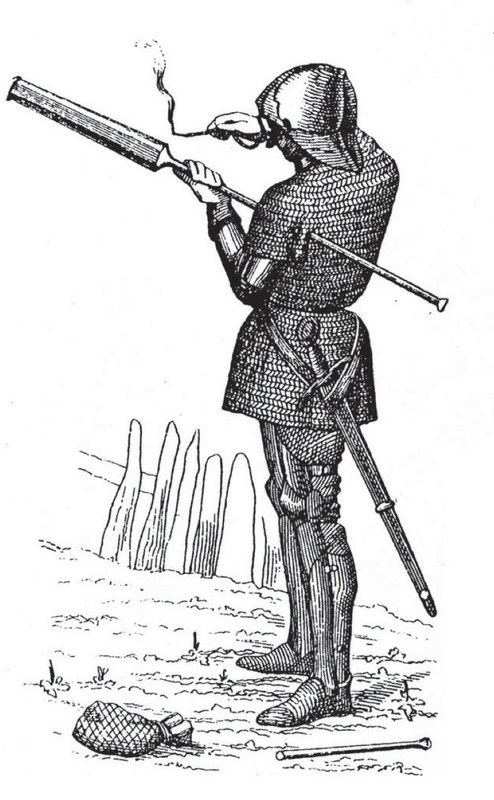 The technique of providing protection for the gunners (or crossbowmen or archers) while they shot the mounted cavalry to pieces was widely adopted, and it signaled the end of the armored, mounted knight, the warrior class of that time. Cavalry themselves could not effectively use gonnes, but all that would change with yet another advance in gunnery, the self-ignited arm. The invention of the wheel-lock, and later, the flintlock in all its various versions, allowed a gun to be carried loaded and ready to shoot at a moment's notice, even from horseback. This made them quite popular with assassins and also made them excellent skirmishing weapons. A troop of cavalry, each member carrying several wheel-lock pistols (or petronels) could gallop along a line of foot infantry, shoot them up and then gallop away to reload – rinse and repeat... Massed musket fire eventually put an end to this game, as tactics and counter-tactics continually evolved. One constant in all of this was the development of better guns which were less expensive to make and easier to use by non-professional troops. In addition, the wider adoption of guns for hunting and recreation put thousands of them into civilian hands, where, for example, they became decisive in the early part of the American revolution. Eventually, simple repeating arms could be used by literally anyone, and as has been often quoted (in various versions), “God made Men, but Samuel Colt made them all equal”. This gave any citizen the ability to have an easily carried weapon capable of neutralizing most threats, and contrary to much modern opinion, concealed-carry pistols were a normal part of life up to the beginning of the 20th Century in both America and Europe. This march of firearms technology has thoroughly democratized violence and has reduced the need for a permanent Warrior Class for at least two reasons. First, an armed and capable citizenry does not need such a permanent class for its defense. Although there will always be a need for an organized military, the ranks can be filled from the citizenry. Second, the same citizenry can resist the formation of such a class if the need arises and if it has the determination to do so. Crazy people and outlaws with guns can disrupt a peaceful society, but the overall benefits of an armed and aware citizenry gives everyone a chance for continued liberty.